World's First All Digital Car Audio System? 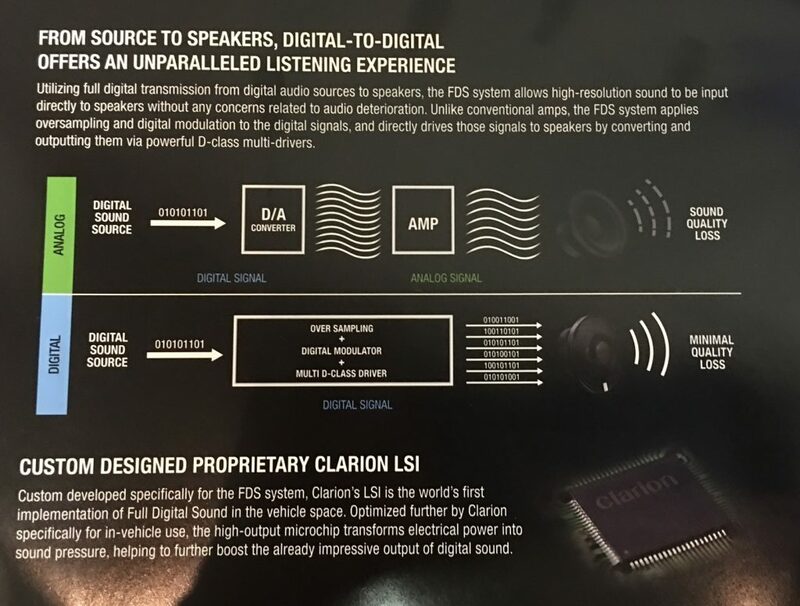 Clarion Corp. said at CES it will deliver its innovative All-Digital car stereo system to the aftermarket in April, and announced pricing of the digital components totaling about $2500 (not including the Hi-Res Audio NX706 deck). 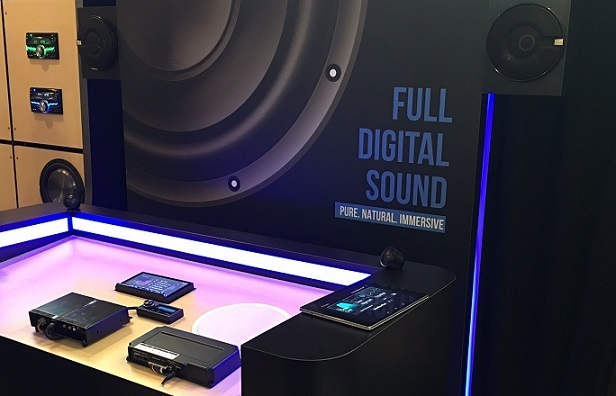 The new Full Digital Sound Components system (FDS) is completely digital from the deck to the point “until the cone of the speaker moves” said Clarion. It includes a 32-bit processor called the Z3 that comes with a pair of 1 inch tweeters. The processor “transforms electrical power into sound pressure” using a custom designed LSI. 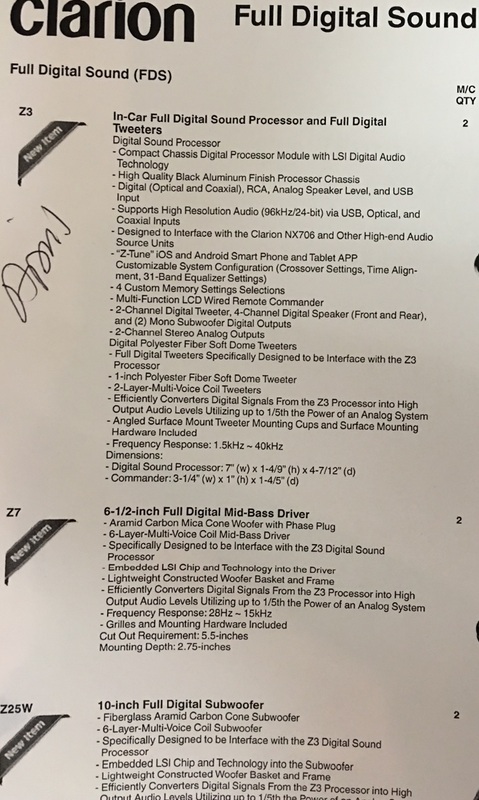 There’s a pair of Z7 6.5 inch mid-bass speakers that include their own built-in drive circuit and LSI that converts the digital signal to cone movement. The signal from the Z3 processor is divided into 6 digital signals that are transferred to a 6 layer voice coil that directly drives the speakers. The system is super efficient, using 1/5th of the power of a typical car audio system and there’s no signal loss or noise. The FDS system does not use an amplifier and the speakers do not require external power. There’s also a Z25W Full Digital 10-inch subwoofer with its own LSI, drive circuit and 6 layer voice coil. Clarion also offers a separate Commander Control Module with a large rotary knob and buttons to control volume and other features. 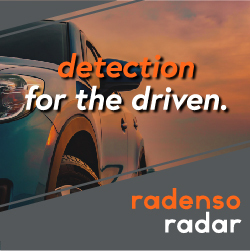 The processor allows for various digital and analog inputs and outputs and the system can be used with many different sources, including typical car radios. You can also simply play your music from a tablet, for example. And there’s an app so you can use the tablet for tuning and setting system crossovers, time alignment and other characteristics. It provides 31 bands of EQ per channel for 8 channels. The Z3 processor will carry a street price of $999.99, and the 6.5 inch mid bass drivers will carry a street price of $799.99. The 10 inch subwoofer will have a street price of $749.99. The system supports Hi-Res Audio (96kHz/24 bit) via USB, optical and coaxial inputs. It is designed to be used with a new Clarion NX706 Hi-Res Audio DVD/navigation receiver.